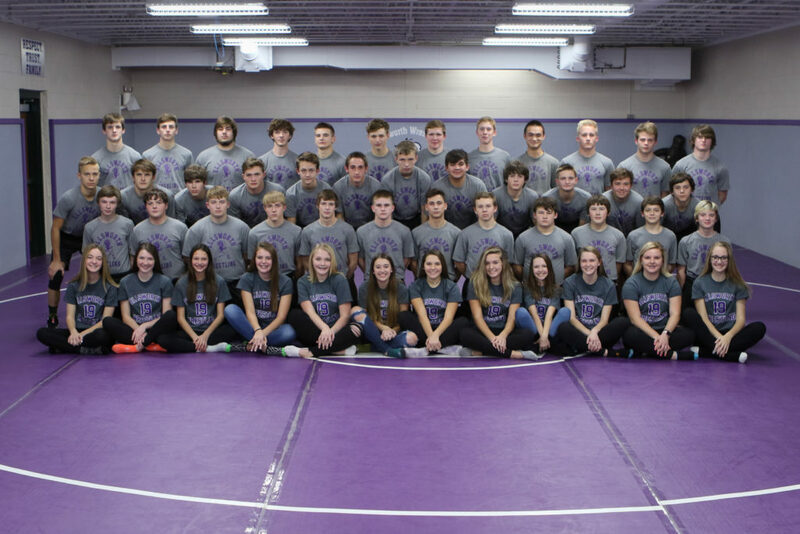 We would like to congratulate the Ellsworth wrestling team on being this year’s recipient of the Team Wrestling Sportsmanship Award. Ellsworth has won this award in back to back seasons and it is the 5th time Ellsworth wrestling is the recipient of the WIAA/Rural Mutual Insurance Sportsmanship Award. When talking with Head Coach, Mark Matzek, we asked him what this award meant to him as a coach, the team and community along with how they teach their athletes about sportsmanship. I hope by winning this award it proves my staff and I are not only coaching and teaching the sport of wrestling, but we are also modeling behavior that our athletes (who look up to us) are emulating. In addition to their fathers and grandfathers, my staff and I strive to lead these young men into adulthood as best we can with the time we are given. As a team, this award validates this program shows class in both victory and defeat. This award is also a testament to the community I grew up in and returned to, to raise my family. This community is passionate about their sports programs, but they have perspective as well. If a call doesn’t go our way on the mat, they do not dwell on it but instead cheer our wrestlers on to overcome adversity. The old saying, “Act like you have been there before” comes to mind. Too many professional athletes celebrate like fools after so little victories. For example, the NFL. It seems like there is a celebration after every tackle or blocked pass. It is exhausting. Could you imagine what a wrestling match would look like if there was a celebration dance after every take down? Break in the match? I am not saying people shouldn’t be excited, far from it. What I mean is we can all be more grateful in winning and defeat, have perspective and focus on the commitment to the team. Past teammates and current co-workers who are the most grateful always seem to have an infectious personality and are natural leaders. This is Coach Matzek 5th season as the head wrestling coach at Ellsworth High School. However, Coach Matzek has been coaching wrestling for 14 years. Prior to coming to Ellsworth, he was an assistant and head coach at Augsburg College. His favorite part of coaching is the special relationships he’s been able to create with his athletes sharing daily, weekly, and season long victories and adversity. As an athlete, he was blessed to have multiple Hall of Fame coaches that taught him the meaning of sportsmanship. He hopes to provide his athletes the same experience he had – which was second to none. Congratulation again on a great season and winning the WIAA/Rural Mutual Sportsmanship award in back to back seasons. This is a great achievement for the Ellsworth community.